This was an excellently plotted mystery with believable characters and good suspects. I read it in one day. Very absorbing. I expect nothing less from Ferrars. Every book I’ve ever read by her is excellent! I did not guess whodunnit! This fulfills the Jewelry category on the Silver Vintage Cover Scavenger Hunt @ My Reader’s Block. A witty man, quietly charming, could be good company: that was Stephen Gazeley. But it was only after the first murder that Hilda began to see things as they were, rather than as she wished they could be. 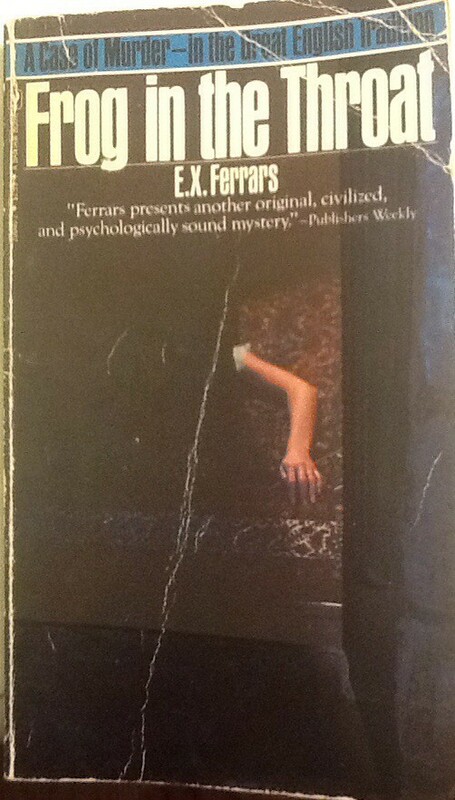 Another solid page turner by Elizabeth Ferrars. I haven’t read one yet that I didn’t enjoy! Peggy Robertson thought she had left the small town where she was raised for behind her. Peggy had won honors at college, settled in the city, and now, despite her good looks and comparative youth, already had launched a brilliant career as a scholar and teacher. Peggie makes a minor appearance in the first part of the book after her granny is found dead on the stairs and then goes back home (or does she?). But she does play a bigger part in the last quarter of the book as does a secret romance. Charles’ Aunt Alice, Peggie’s granny, is found dead on the stairs when Charles returns from a short walk to the mailbox the first evening he is home after a 3 year absence. He stayed away all that time as he was in love with the neighbor’s wife, but she loved her husband. In that three years a lot had changed mostly his Aunt Alice’s health. She’d had a bad fall. Alice never attempted the stairs since her fall. What was she doing on them? Why was the attic door open when Charles is sure David Baldrey, the odd jobs man, had closed it earlier in the day? Who is this Professor Stacey thats been writing Aunt Alice about researching long dead relatives and why is he here a week before he was expected? Then there is a second murder! Well plotted, lots of good suspects, secrets and illicit love affairs and a grand old house. Good read. Never disappointed by Elizabeth Ferrars. This book qualifies for Bev’s Vintage Mystery Cover Scavenger Hunt Silver Age Mysteries for the category A Statue. That brings me up to a total of 6, 4 for Silver Age and 2 for Golden Age. Also qualifies for Gothic Fiction Reading Challenge @Book of SecretsT his is my second book for this one. And of course Read Scotland 2016 as Ms. Ferrars is Scottish! 7 of 21 books needed for this one. 3 birds with one book! 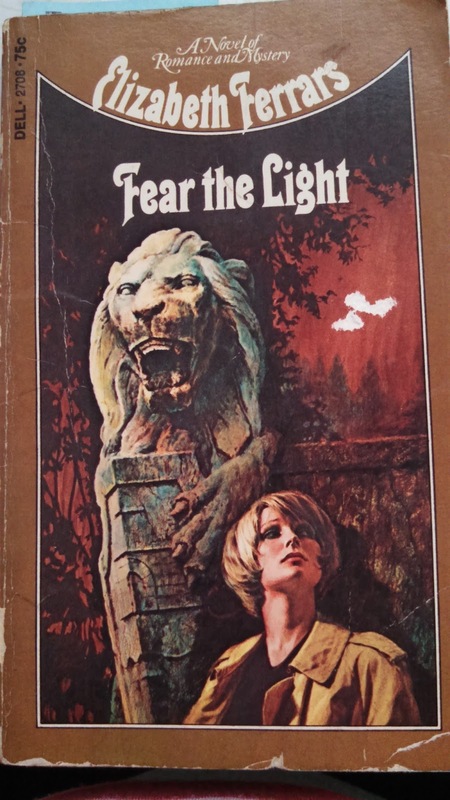 ‘From the grand dame of British crime fiction comes a delightfully wicked tale of backbiting, deception, and murder in a small university department with a most unsavory secret. As a rule, bigamists don’t gravitate to the biochemistry department of sleepy Knotlington University, and Dr. Patrick Carey, senior lecturer, is, it would seem, no exception. Eyebrows are raised, however, when a letter addressed simply to “Professor Carey, Knotlington U.” ends up on his desk – a letter that comes, it is widely known, from a woman claiming to be Dr. Carey’s wife. Dr. Carey has abandoned her to a state of abject poverty, she claims, and she is none too happy about it. Patrick immediately suspects the involvement of his unstable younger brother, David, a chronic liar who has been known to assume identities other than his own, and he fears trouble. Trouble duly arrives when the woman turns up on Patrick’s doorstep. Someone in the department must have given her he is address. But who among his colleagues could dislike Patrick and his wife enough to cause them such embarrassment? Just when things seem to be settling down again, someone sets fire to Patrick’s boss’s house, and the deserted wife is found dead in the ruins, actually locked in the study. Then the boss herself is murdered, practically on Patrick’s doorstep. The key to the locked room is found in his flat, and the blunt object that killed his boss came from his own laboratory. Not a ‘complicated’ mystery to solve. I guessed who, but not the why. A really good, twisty, mystery with lots of good characters and possibilities for the culprit. I especially liked Patrick’s wife, Henrietta. 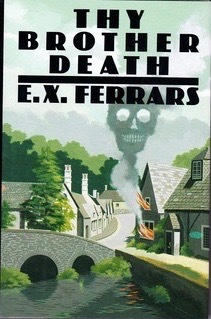 Never disappointed with Ms. Ferrars books. Fun light read. Virginia Freer is enjoying a brief holiday at the cottage of old friends Helen and Andrew when her estranged husband Felix comes knocking at the door. Painful memories turn up with the irrepressible Mr. Freer – as does his penchant for prevarication, petty theft and amateur sleuthing. Virginia is suspicious of Felix’s sudden appearance. But she never suspects his lighthearted snooping into the secret sins of a pair of literary sisters, a wealthy widow, a popular poet and a love-struck bachelor will turn so deadly serious…until murder gives Virginia and Felix a FROG IN THE THROAT. Excellent who dunnit! I especially enjoyed the relationship between Virginia and Felix. You find yourself liking him and rooting for him. A good look into relationships and what we ‘see’ in people and what lies beneath! Elizabeth is a Scottish mystery writer and this book came to me all the way from Scotland, from my sweet friend Katrina! Elizabeth was born Morna Doris MacTaggart in Burma to a Scottish family. She attended school in Berlin and was raised by a German nanny. As the war was ramping up she was moved to Britain for safety and finished her schooling there. She is listed as a British Crime Writer. 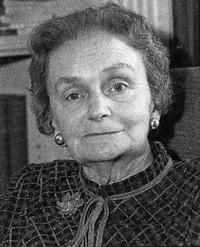 Her first two books were published under her real name with following novels written under the pseudonym Elizabeth Ferrars. In the States she was published under E.X. Ferrars. 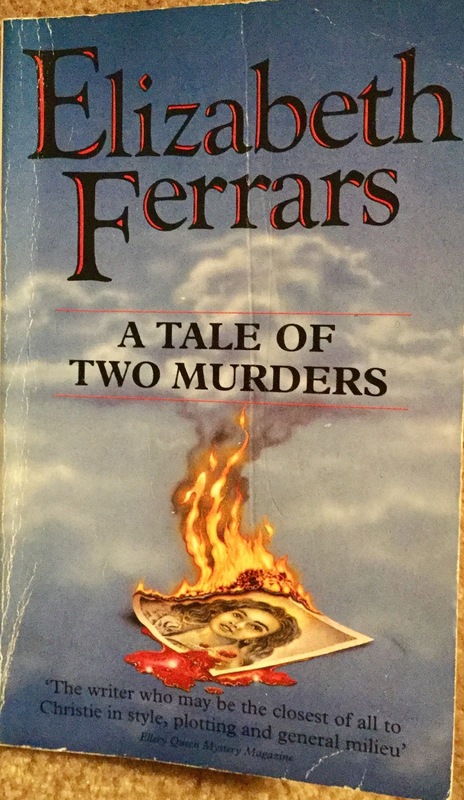 Ferrars was her mother’s maiden name. She was a prolific writer with about 75 books published, including 3 series! Her first book was published in 1932 and the last posthumously in 1995. ‘The late Professor Garvie-Brown of Edinburgh University had departed this life full of honours, professional esteem and leaving a considerable estate. But now, many years later, evidence has emerged of a skeleton in his cupboard. Seven skeletons, actually. Seven wives, four bigamous and all murdered. I enjoyed this. It was 222 pages and a nice light easy read. I liked the writing style, it pulled me in pretty quickly and I had to get to the end to see who did it. I did not guess who did it. Full of interesting characters and an interesting scenario in which the murder occurs. Luke Latimer is the main character, his grandmother was one of the seven wives that were murdered. I liked Luke. There were 2 female interests and I enjoyed trying to guess who he would end up with in the end, if either one of them. The ‘family’ was full of interesting people. Would they welcome Luke into the family and gladly share the wealth with him or would they go to any length to keep him out of the loop and preserve the family honor? Did Grandpa really kill all those wives? How did his 8th wife and widow find out the truth? How about the private detective Gilbert Arne? Did he or didn’t he? Could Luke trust him? I’m looking forward to reading more by her.